Prevents explosion and consequent fire in a power, distribution, generator and rectifier transformer. Retrofit possible with minimal outage period. Suitable for indoor /outdoor installations. Can be operated in the absence of power. Approved by transformer manufacturers, Railways, domestic and international utilities, Consultants and Individual Power Producers. Our product range also comprises of Frozen Dry Ice, Liquid Nitrogen. 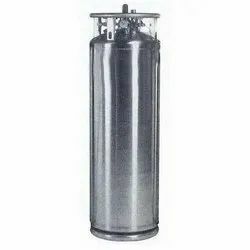 We are counted amongst reputed firms in offering this range due to its high-quality & specifications to be used in various industries.